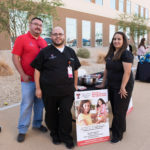 Texas Tech Physicians of El Paso at Transmountain and The Hospitals of Providence teamed up with local nonprofit Moms on Board to provide a healthy back-to-school event Saturday at The Hospitals of Providence Transmountain Campus. 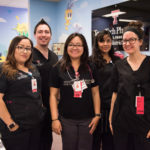 Texas Tech Physicians of El Paso offered families seminars on nutrition, and staying healthy and safe during the school year. 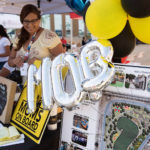 Parents and children also enjoyed recreational activities, backpack giveaways and tasty food truck snacks. 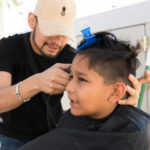 Organizers also offered low-cost back-to-school physicals and dental exams. 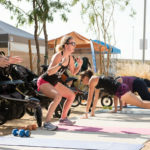 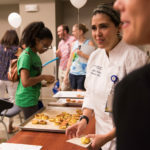 TTP El Paso pediatrician Sarah Zate, M.D., who is also an assistant professor in the Department of Pediatrics at Texas Tech University Health Sciences Center El Paso, presented at the event. 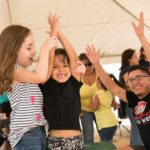 Dr. Zate, along with Leslie Cortes, M.D., also a pediatrician and faculty member at TTUHSC El Paso, will host a free seminar on childhood obesity and nutrition at 10:30 a.m. Saturday, Aug. 18, at Texas Tech Physicians of El Paso at Transmountain, 2000 B Transmountain Road. 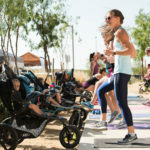 Call 915-215-8400 to register. 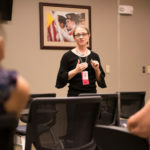 Photos by Tommie Morelos, Office of Institutional Advancement, TTUHSC El Paso.